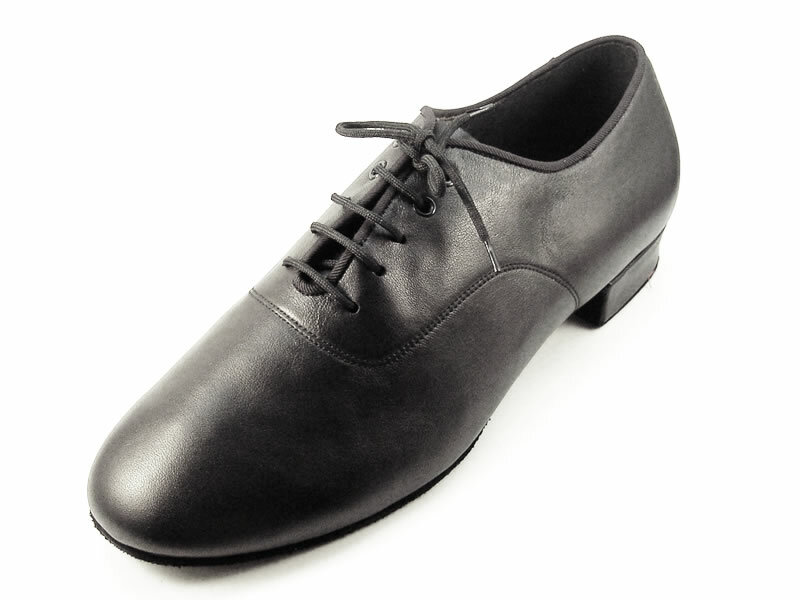 Men's Standard/Smooth shoe with curved stitching, round toe, and full shank for excellent support. Pictured in Black Calf Imported Leather(S4), with Men's Modern Heel. Can be made in any materials.